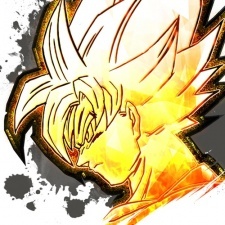 Dragon Ball Legends has driven strong performance for Bandai Namco’s Q3 2019 results. The Japanese publisher has posted its results for the three months ending December 31st, 2018, ending the period on strong footing. Net sales ended at ¥194 billion ($1.76 billion), up roughly 11 per cent year-on-year. Operating profit hit ¥25.9 million ($233.6m), up from ¥19 million ($173.4m) the year prior. Revenue for Bandi Namco's network entertainment segment, which includes its mobile games, rose to ¥83.9 million ($764m) for the quarter - the company's best performing business. Operating profit for the division rose to ¥11.9 million ($109m) year-on-year. Bandai Namco’s strong quarter appears to be driven in part by the success of mobile brawler Dragon Ball Legends. The licensed title was estimated by Sensor Tower to have passed $140 million in worldwide revenue since its launch in 2018, largely thanks to Japanese popularity. Another Dragon Ball Z title, Dokkan Battle, also remains a strong performer for the publisher. The publisher has high hopes going forwards, adjusting future projections accordingly. Bandai Namco’s end-of-year net sales are now forecast to reach ¥710 million ($6.46 billion), 9.2 per cent higher than expected. Operating profit is predicted to hit ¥75 million ($683m) by the end of the fiscal year, up some 25 per cent.